Here’s something special for your Sunaday! We have the first look at Fanney Khan! The highly anticipated musical drama stars Aishwarya Rai Bachchan, Anil Kapoor and Rajkummar Rao. Not only that we have learned that the teaser for the film will hit the airwaves on 26th June 2018. 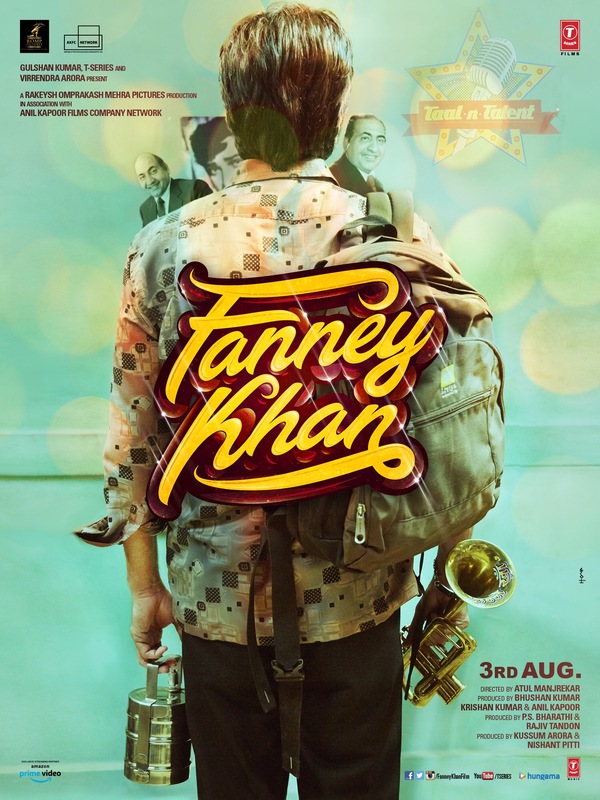 Produced by T Series and Rakeysh Omprakash Mehra Pictures Productions, Fanney Khan is directed by Atul Manjrekar. With music by Amit Trivedi, guest composer Tanishk and lyrics by Irshad Kamil, the musical drama is slated to release on 3rd August 2018. Needless to say with this first poster we are VERY intrigued and can’t wait to see, to know and to hear more!